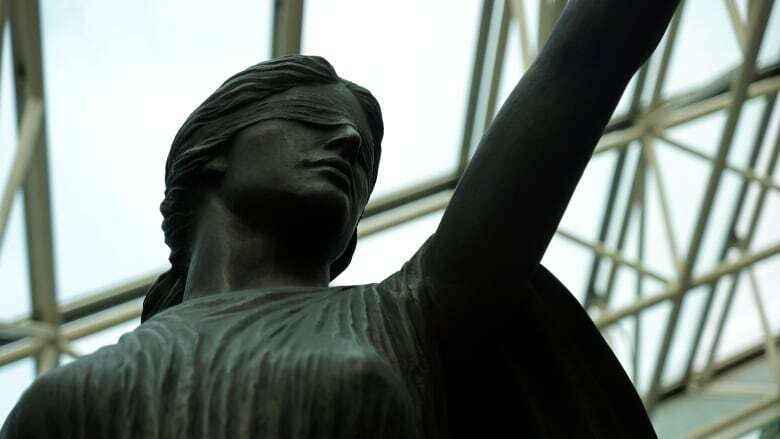 The Public Prosecution Service of Canada (PPSC) — the independent body that prosecutes federal offences and has played a role in the SNC-Lavalin affair — sent a tweet this morning saying its lawyers must be free to do their jobs without "political influence." The tweet comes one day after the prime minister's former principal secretary, Gerry Butts, and Michael Wernick, the most senior bureaucrat in the country, testified before the Commons justice committee that they did not inappropriately pressure former attorney-general Jody Wilson-Raybould to negotiate a deferred prosecution agreement (DPA) with the Quebec engineering firm after the PPSC refused to do just that. Wilson-Raybould testified that she felt political motivations — namely, the Liberal Party's electoral fortunes in Quebec — were behind the push to secure a DPA for the large Quebec corporation. A spokesperson for the PPSC said today the tweet was not related to the SNC-Lavalin affair. Kathleen Roussel, the director of public prosecutions and the head of the PPSC, decided not to pursue a DPA for SNC-Lavalin and to proceed to a criminal trial on fraud and bribery charges. The Prime Minister's Office was concerned by this course of action, fearing a guilty verdict for the firm could lead to financial ruin and massive job losses. Wilson-Raybould has said she should have been free to make a final decision without interference. The tweet was sent shortly after Prime Minister Justin Trudeau himself expressed regret over how the whole affair has unfolded. While the Twitter account for the prosecution service was first created in January 2019, it only posted its first message on the social media platform yesterday. "The PPSC twitter account launched this week; a number of pre-written tweets explaining a little about the PPSC and its work are scheduled over the coming weeks," Nathalie Houle, a spokesperson for the PPSC, said in an emailed statement to CBC News. The spokesperson said the tweet is not related to the SNC-Lavalin controversy and there is no pressing concern about the independence of prosecution in Canada. Conservative Leader Andrew Scheer said today that, while he agrees with the sentiment expressed in the PPSC's tweet, it's "very troubling" that federal prosecutors felt the need to issue a statement like that amid the SNC-Lavalin uproar. The office was created by the former Conservative government in 2006 to separate federal prosecutors from the other public servants who carry out legal and legislative work at the Department of Justice, and to further distance its functions from politicians in the wake of the sponsorship scandal. The service was designed to "strengthen ... institutional independence and ultimate ministerial accountability," the PPSC website reads. "On one hand, it was intended to enhance integrity in government by statutorily ensuring independence of the prosecution decision-making function from inappropriate political control, direction and influence. It enshrines in legislation the quasi-constitutional principle of independence of the prosecution function from the partisan political process." While the service is independent, the attorney general is still responsible for its actions and has the power to intervene in legal proceedings and "assume conduct of a prosecution." To guard against interference and prevent abuse, these interventions must be made public. For example, if Wilson-Raybould had pursued a DPA with SNC-Lavalin over the initial objections of the PPSC, she would have had to draft a document stating that for publication in the Canada Gazette, the official newspaper of the government of Canada where new acts, regulations and proclamations are published.